Many people experience a pop at the time of injury and after some days there is swelling and stiffness. Patients often remark that the knee feels “tight”. Sometimes the knee is unable to straighten completely and remains locked. Another distinguishing symptom is that the knee feels that it give way. 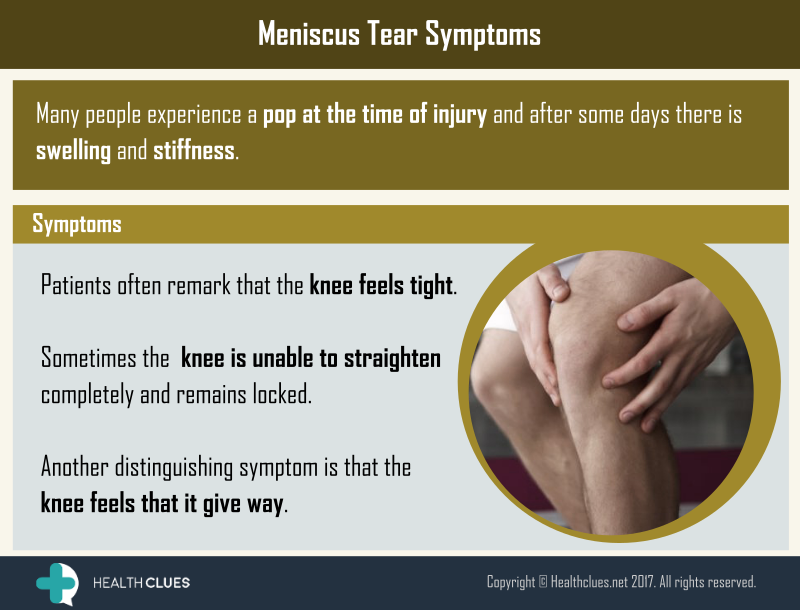 Infographics, Meniscus Tear knee noise, knee pain, meniscal injuries, meniscus, meniscus tear, Meniscus Tear Symptoms, sports injury. permalink. Should You Delay a Hip Replacement Surgery?